Each season, it seems that there are a couple of skis that really get our attention, and you can add the new Enforcer 100 to that list. Three of us at Blister have now spent time on this ski, and all three of us have found it to be surprisingly, alarmingly good. As Will Brown noted in his preview of the Enforcer 100, it has seemed recently that Nordica was killing off more skis that we thought were very good than creating new skis that we were genuinely excited about. But that changes with the Enforcer 100, and we think that Nordica has a real hit on their hands. So, while the Enforcer 100 does not have a burly flex pattern, it has a very nice flex pattern. No hinge points, and the tails are not that much stiffer than the shovels—there is a nice consistency. If I were to sum up the 185cm Enforcer 100 in three words, I would go with: Quick, Smooth, Stable. On slightly soft snow up to super slushy spring groomers, the Enforcer 100 is an absolute blast, and might strike the best balance we’ve seen from any 100mm-wide ski at making big turns at very high speeds, as well as short, quick turns at slower speeds. It’s remarkable, and again, it’s remarkable how smooth the Enforcer 100 feels in either scenario. Butter. Jonathan Ellsworth on the Nordica Enforcer 100, Taos Ski Valley. Having said that, when making big turns down very firm, frozen corduroy at very high speeds, I would definitely prefer to be skiing the Rossignol Experience 100, a ski that still offers the best edgehold on firm conditions of any ~100mm ski we’ve reviewed. And in that sense, I’m not going to try to sell you on the Enforcer 100 for its performance on ice. So if you’re looking for an East Coast ski that thrives on bulletproof groomers, I don’t think the Enforcer 100 ought to be your first choice. But if you’re looking for an east coast one-ski quiver? Then yes, I could definitely see it. But for carving anything soft at all—even end-of-the-day groomers where slush piles have bumped up the run, the Enforcer 100 was outstanding, provided excellent edgehold, was eager to get on edge, and easy to bend. Smooth, versatile, fun. We never skied the old Enforcer 100, but we did ski the Enforcer-Without-Metal: the Hell & Back, so I’ll offer that comparison. The Hell & Back leaned a bit more toward the ‘stability’ side of the spectrum than the ‘quickness’ side; if you got a bit back seat on the Hell & Back, it could buck you. Less so the Enforcer 100. The tails are softer than the Hell & Back’s, and they have yet to ever feel punishing or demanding—certainly not when putting them up against other 100mm skis like the 184cm Volkl Mantra or the 182cm Rossignol Experience 100. So while those tails aren’t as demanding as those other skis, the Enforcer 100 also doesn’t provide quite the same level of top-end stability as those skis, either. But if you’re a lighter skier, that might not matter. And if you aren’t skiing flat out anyway, then it definitely won’t matter. And if you are lighter or aren’t nuking everywhere, what you are going to appreciate about the 185cm Enforcer 100 is (1) how quick these skis are—how quickly and easily the ski gets from edge to edge, and (2) how much energy you can get out of the skis. I don’t know that the skis generate quite as much rebound as the 185cm Hell & Back did (they produced an awesome, alarming amount), but the Enforcer 100 is still a very energetic ski. If the Hell & Back sometimes felt like it wanted to throw me off the side of the groomer when coming out of a deep carve (that’s not a complaint, by the way), the Enforcer 100 justs wants to throw you into the next turn. And on decent groomers (or perfect groomers), these skis are … smooth. Not super damp, and I could find their speed limit at very high speeds. But on clean, soft, corduroy, these skis are happy to get high on edge and produce a very nice ride. NEXT: Moguls, Hot Pow, Steeps, etc. Thanks for another great review. I’m 5’8″ 145lbs looking for a 95 to 100mm everyday ski here in Tahoe. I’ve been skiing for 30 years and am an advanced (not expert) skier. I like to ski groomers, bumps and off piste if not too deep. My current ski is the 2013 Brahma 173cm which is great in firm conditions but wish I had something wider in slush or deeper new snow. I have demoed the Mantra and Bonafide and love the stability but they both seem too “directional” and slow to initiate turns for my size and skiing style. The Enforcer review sounds a lot like the reviews I’ve read about the Head Rev 98; easy, quick, fun and stable if not pushed too hard. Maybe a better ski for a lighter skier? Would you put these two skis in the same category? Any other ski suggestion? And I haven’t put much time on the Head Rev 98 (and it was a couple of seasons ago), so I wouldn’t trust my comparisons on it. But what I will say is that if you found the Mantra and the Bonafide to be a bit more ski than you wanted or needed, then I honestly would be shocked if you didn’t love the Enforcer. Hmmm … How would you compare firmish (not icy) off piste as well as overall groomer performance between this and the Supernatural 108? So to try to actually answer your question, the Enforcer is the much better option if you like to make a lot of turns – it’s tighter sidecut radius is noticeable. The Supernatural 108 really does need to be considered against skis like the Blizzard Cochise & the Moment Belafonte – it’s a more playful version of those pretty powerful, wider, all-mountain skis. “And it is the Enforcer (not the Supernatural 100) that reminds us of a skinnier version of a ski that’s become one of our favorites, the Line Supernatural 108.” I’m actually looking at both of these skis (Enforcer and Supernatural 108) as part of a 2 ski resort quiver. I have 186cm Atomic Automatics mounted with FKS140s for pow, and 188cm Soul 7s mounted with Guardians for touring so I have soft snow skis covered. I really like how quick the Soul 7s are, but they are definitely not made for anything resembling hard conditions. I want a ski that is better at busting through crud and that is more stable the Soul 7s. I ski mainly in Colorado and Utah, and I like steeps, bumps, and glades. I am a strong, advanced skier and normally get to ski about 30 days per year. At first glance it seems like I would want the Supernatural 108, but this last season has me rethinking if I need a 108mm underfoot ski as my daily driver. I already have the Soul 7s or Automatics to bust out in soft conditions, so I was thinking that the 98mm underfoot Enforcer might be a better choice. Any thoughts on which ski would be better suited to me? I demoed both the 185 Enforcer and 186 Line SN108. I quite liked the Enforcer, and agree with Jonathans impressions. The SN108, on the other hand, felt completely dead and planky to me. Not quick, not playful, very damp, and a bit hooky as well (bad tune?). I would not hesitate to choose the Enforcer between these two skis. The Line rep told me the SN was designed to be the company founders ideal charging ski. The Supernatural 108 is definitely more of a charger than the Enforcer, but it is still an easy, playful ski — if you are skiing hard and fast, and are used to / like a good bit of ski (Dynastar XXL, Armada Invictus, Moment Belafonte, Volkl Katana, etc.) The Supernatural 108 isn’t demanding like those skis, but it isn’t designed to noodle around, either. The Enforcer has the better low end, the Supernatural 108, the better top end. Highly suggest checking out the new monster 88. Thought it was super smooth and easier, but probably med-stiff. Curious what you guys think of it. Going to replace my aging hell and back that’s been so good. We haven’t spent time on the NRGY 100 – we were offered a very short window of time to get on the ski, and we don’t really do very short windows. But I’ve been talking a lot with people I trust who have spent a lot of time on both skis, and their take is that the NRGY 100 is primarily an even easier version of the Enforcer. I.e., they would be happy to put a beginner skier on the 100, where they would not put a beginner on the Enforcer. And he and I would both be happy to put a solid-to-high intermediate on the Enforcer. And that’s not to say that advanced skiers couldn’t / wouldn’t enjoy the NRGY 100. But the Enforcer will have the higher top end, the NRGY 100 apparently is even easier at lower speeds. Hey, Ben – the Hell & Back has a much more serious tail than the Enforcer. I stand by my characterization of the Hell & Back as a slightly dialed back 13/14 Mantra. The Enforcer isn’t a Mantra – nor a Hell & Back. I remember skiing Taos’ Fabian one day with Garrett Altmann (our Freeride World Tour comp skier) and Garrett was on the Hell & Back. He got back seat a little on some huge bumps at the top of the run, and the Hell & Back bucked him pretty good. The Enforcer’s tail just isn’t in the same category. I loved the stiffer, flatter tail on the Hell & Back, and prefer its shape in icy steep stuff. But I still think the Enforcer is a damn good ski, I just wouldn’t take it over skis like the Salomon X-Drive 8.8, the Hell & Back, or the 13/14 Mantra when the conditions or the terrain get a bit more gnarly. What did you think about the mount point? I moved mine back 1.5cm and went from just “meh” to really liking the ski. (6’2″ – 185). Interesting. Have to say the I, Will Brown, and Tom Collier all skied it right on the line, and none of us felt like the ski was ‘off’ at all. In fact, I’m afraid that I don’t even have a good guess why moving back had that result for you, unless you’re used to a more traditional mount point and felt like you didn’t have enough shovel to lean on and drive the skis? Still, I love collecting feedback from others re: mount points, so thanks. I had the Enforcers v2.0, old Enforcers and 14/15 Cochise all lined up – Enforcer v2.0 was a good 3-4cm forward (all 185’s) in the mount point. Just curious. I really like them now. Thanks for excellent review, I have been waiting for this ski;. I have to questions : The first: with my size and ability (145lb, 5’8″) expert , what size would you recommend? I own 169 old traditional N.Enforcer and is one of my all time favorits. would 177 (2016 model with the rocker) be comparable to that? Another useful info: I have also owned old Mantra (86 under foot) at 177 but I would say it was a bit long for me specially in steeper tighter tree runs, and icy bumps, I could feel the extra effort it demanded of me I believe because of length. My second question: How do you compare this to Dynastar 97? Please if you would? Thanks, Faripour. Short answer: I’d recommend going with the 177. It will feel like less ski than your old Mantra, and it will feel on par with your 169 Enforcer since this new ski has tail rocker. Hmmm, I haven’t been on the 97 in a couple years, but I can say that I did not click with the 184cm 97 – heavily tapered tips and tails are the opposite of what I tend to like (the only exception that I can think of here is the Dynastar Powertrack 89). It just felt like too turn-y of a shape for how I like to ski. The Enforcer doesn’t have heavily tapered tips or tails, but it is still a quick ski – it just isn’t as prone to overturning as I (in my limited experience) found the 97 to be. How do the Enforcers compare to the Line SFB? Hi, Bill – on the face of it, these two skis really don’t have anything in common. The SFB is a jibby, all-mountain ski; the Enforcer is a straightforward directional ski that carves well. So if you’re tricking this ski or skiing switch, the SFB is an easy call. But for directional skiers, both are pretty quick skis that aren’t demanding. The SFB has got to be a bit softer, and may not / probably doesn’t have the top end of the Enforcer. Both skis are quick & easy in bumps and trees, and I’d be pretty happy skiing either ski here – though I’d prefer to be on the Enforcer over the SFB the more firm the conditions. 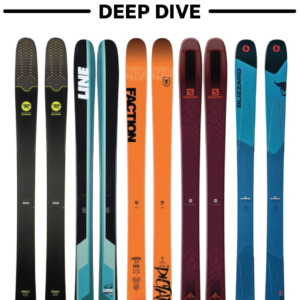 And if I had to pick one of these skis for deep chop / variable snow, I’d pick the Enforcer over the SFB, though I’m not certain that their performance (or how you’d have to ski them in such conditions) would be night and day different. The Enforcer would be better, I just can’t say with certainty that it would be world’s better. Thanks for the response. You have my peaked interest up with these comments. I ski the SFB at Taos and love them. Love the quickness, the forgiveness, and the energy. My only wish is for a little more stability at high speed and a little better boilerplate performance, without the loss of playfulness. I don’t seriously trick so I guess I’m purely directional. I demo’ed the Rossi Experience 88’s one day and wished my Line’s carved as easily. Maybe I need specific hard snow skis. Maybe I should consider the Enforcer Anyway, I’ve been waiting on your review of the new SFB. When will we see that? We haven’t skied the new Experience 88, Bill, but I was a bit disappointed in the old 88. Having said that, I’m all for owning a dedicated hard snow ski (which for Taos, I’d say something around ~80-88mm underfoot). Still, we obviously loved carving the Enforcer on anything soft. And the Enforcer will definitely give you more stability over your SFBs, but it won’t have the same performance on truly firm stuff like a ski such as the Salomon X-Drive 8.0 or 8.8 will. Jonathan, thanks for another solid review! I noticed that Head does not get much love from Blister for whatever reason… Anyway, let me ask if you are familiar with Head Rock’n’Rolls, and, if yes, how you would compare them to the Enforcer. I ski on the S3, and like them very much, at least in soft conditions. In firmer conditions, or going very fast, less so. I’m 6’3″ and 210, which could be part of the issue with the S3s, but I suspect it’s more about the tails and the lack of overall stiffness. I do like the relatively short feel of the skis. Is the 185 Enforcer appropriate for someone my size? I probably can’t demo where I am (Switzerland), but a friend and real Nordica ski fan will visit next season and would happy to bring a pair for me. If I had to go with 193 for reasons of height and weight, I’d hesitate to buy without trying. Hi, Mark – this is actually a pretty easy answer. Since you’ve gotten along pretty well with the S3, the 185 Enforcer will definitely be a bit of a bump up in terms of stiffness & stability, and will offer better firm-snow performance. That firm snow performance won’t be world’s better than the S3 – the Enforcer is still tip & tail rockered, though not as heavily as the S3. But all that to say is that I think the 185 Enforcer will provide much of what you like about the S3, but with a bit more stability, stiffness, and firm-snow performance. Seems like a good fit, and I’d be surprised if there was anything about the S3 that you ended up preferring over the Enforcer. You’ll have to let us know! HI Jonathan – I;m guessing you’re recommending the 185 Enforcer for Mark, who is 6″3″ and 210. Would the same go for someone at 6’5″ and 230, or would you think the 193 would suit me better? Thanks Jonathan for getting back to me. They sound perfect, then – an S3 with a bit more guts. I do feel a bit sad to mothball the S3s, because we have gotten along so well, but they can’t quite keep up on firm conditions. How does the enforcer compare to the Soul Rider? + and or -? Short answer: these are fairly apples-to-oranges. The Soul Rider is much softer, is more center-mounted, and many of Nordica’s team riders are now using the Soul Rider as their go-to park ski. The Enforcer is a stiffer, directional ski. It is an easy-going ski compared to burlier all mountain skis like the Mantra or Bonafide, but it also isn’t a park noodle. The Soul Rider is excellent for what it is … but it doesn’t really belong in a comparison with the Enforcer. At 6’1 225, athletic build, would I overpower this ski bashing around the crud in the resorts? Looking at the line SN 108 and the new Kai series from 4frnt as comparisons. I’m east coast based, so one ski quiver isn’t a bad thing. Short answer: “Maybe” to “Probably”. You are 45 lbs. heavier than me, and I would never look to the Enforcer if I cared most about a ski’s performance in crud. With the Enforcer, the heavier you are, the more (much more) you will need to ski with a very light, finesse-oriented touch. But usually people who ski with a very light, finesse-oriented touch aren’t writing in worried about whether they’ll overpower ski X in crud. The SN 108 will definitely be the better crud ski—though read our comparisons of the SN 108 vs. the Blizzard Cochise, etc. And from what I’ve heard about the Kye 110 and seen about the Kye 95 (very heavily tapered tips) – I’m not sure which Kye you have in mind – I have no reason to assume that either Kye will be better in crud than the Supernatural 108. Love the sound of this one. Looking for my first new 1 ski quiver in many years and your description fits the versatility I’m looking for. Another sizing question as I’m not very familiar with the skis you compared it to for sizing. 5’10”, 170 lbs, advanced intermediate skiier in Colorado. I’d guess I’m between the 177 and 185? I am 6’2″ 250lbs upper intermediate. I liked the 185 Hell and Back, and the metal mantra was a bit more than I would want. 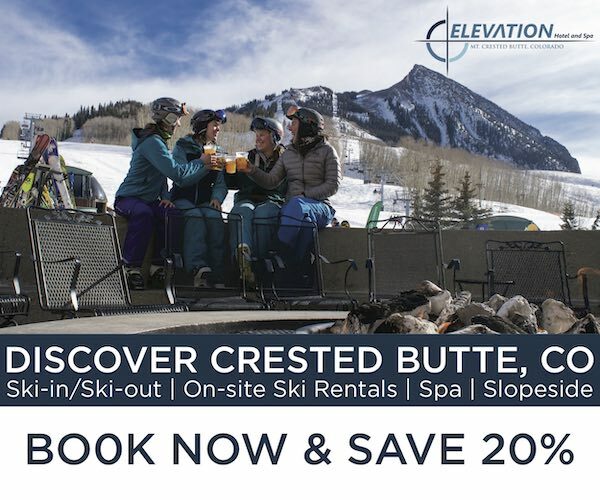 All skiing will be in summit county Colorado. How would you stack up the Enforcer, and would you recommend the 185 length? That length in the hell and back felt just fine. I’m replacing my 187 Bones this year. I loved the ski and it worked great for me in most conditions. Very occasionally, I wished for a more playful ski in harder/larger bumps, but I was usually happy with my bump performance on these skis. I was always happy about the length when charging in steeps or somewhat cruddy conditions. Groomers were OK, but I have other skis for groomer days. I was thinking of going with the 180 Bone this year, with the thought that the increased bite of the upgraded model might provide a happy medium place, although I would hate to give up the full-on ability of the ski to deal with whatever I ran across. It seems that the Bones would be more stable and have more bite. The Enforcer would be a bit more playful with an 18 metre radius instead of the 21 metre radius of the Bones, as well as having slightly softer tails. I suspect that the Bones would perform better on hardpack. Both would be good in trees. Both would be decent in pow, but again, I have other skis for pow days. I weigh 170 and am a strong aggressive skier for someone my age (57). I’ve skied 40 to 90 days per year for the last ten years, but anticipate skiing more this year. I ski mostly in Canadian Rockies, but will be living in Bend part time this year, so I’ll ski Bachelor a bit. My other skis include various sl and gs race skis, 178 MX88 (which I think I’ll sell this year), Automatics, 186 Line Supernatural 108 in a 185, and Magnum 8.0 Ti. Any thoughts to help decrease (or perhaps increase) the clutter in my head??? How does the length compare to the hell and back ? I love my 177 H&Bs but they need a replacement. The earlier rise in the tail makes me think of going up a length. I’m 5’9 158 lbs. Hi, thanks again for an awesome review. I’m just left with a couple questions. How do these pair of skis do for icy groomers? Does the 177cm ski feel longer/shorter than other ‘normal’ 177cm ski? Same thing about the belly. Does it feel as skinny as it looks? I have a pair. They will suffice, but not great on icy groomers. You want stiffer, more camber, and more tail for that. I think they ski a bit short. nice review, I’m curious as to why there are 2 different weights for the ski? Also, how does the weight of this ski (185cm) compare to the weights of the Blizzard Peacemaker 186 and the K2 shreditor 102 184cm? thanks! Looking for a narrow ski complement to the Bibby Pro – something that works great on the bumps of Taos but can also handle a good day around SLC. Think I’ve narrowed it down to either the Enforcer or the Fischer 86 Ti. What would you recommend? 5’10, 175lbs, don’t ski super fast but spend all day on steeps. And if you go with the Fischers, how do the 182s feel? Do they ski long or would they be about right for my size? Thanks, and love the reviews! Hi, Eric – at your height / weight, you’d definitely want the 182 86 Ti or the 185cm Enforcer. And it’s a tough call – I think these are both very good skis, so I think figuring out whether you’re in the mood to go “86mm or 100mm” is the obvious question. For my money, while we love the Enforcer on groomers, the more you really care about precise, laid-over carving on firm snow, the more I’d favor the 86Ti. But the less that’s true (and if you aren’t spending much time skiing rock hard bumps) the less downside I think there is for going 100mm. Not the most helpful answer, so happy to try again if you’ve still got questions. But really … 86mm or 100mm? I am 160 lbs, an expert skier who likes to avoid bumps. My preferred skiing is powder and steeps. I ski in the Rockies and Sierras. What do you think about the Enforcer and what length? My reply may be a little late. I’ve been skiing the Enforcer now for about a month here in Tahoe (12 days ). I have found the Enforcer to be a great groomer ski, good in bumps, super quick (almost too quick), but i am quite disappointed in it’s float. My Brahmas (88mm waist) do everything the Enforcer does with better stability, including float just as well if not better in 6″ of new snow. So if you are looking for a ski for steeps and powder there are many better choices out there including the Patron and Hellderado if you like Nordica. If you do get the Enforcer you might go up a size, they ski short. Your detailed review has got me more and more interested in this ski. How quick (edge to edge) is the Enforcer compared to skis like Hell and Back, Rossi EXP 100 or even the Bonafide. The H&B and the EXP 100 really stood out for me in the quickness category. The Bonafide is a bit slower, but it rips in many other areas. I’d love something right in between. The Enforcer, FX95hp and Motive 95 are all on my curiosity list. Any feedback would totally be appreciated. Can you please give your thoughts on this ski vs. the Liberty Helix? I’m looking for a resort ski for when there is no new snow…something that will be stable on hardpack at speed, but also easy to ski/maneuver in steep, uneven bumps. Basically, a ski that performs very well, but is forgiving/easy for making laps underneath Pali at A-Basin. For a bit more info, I currently have Moment Belafontes, and while I love them at high speeds, they are quite a chore when skiing bumps, uneven terrain…I’m looking at the Helix vs. Enforcer to replace there. Just purchased the enforcers in 177 cm with marker griffon bindings. I am a Transplanted bigsky skier now skiing the east. I weigh185 lbs. at 5’9″. I have been skiing for 40 years and feel capable in all terrain. We ski the trees, side country and anywhere the good snow lies but also find ourselves ripping groomers if it’s good. Just wanted to confirm my choice with your expert input. Was not sure on my size choice but was reassured by the great guys at my local shop that I wouldn’t be disappointed in the 177 cm. I charge the mountain hard from first chair to last and am not willing to be out done by my 15 year old just yet. The faster the better for that punk chick. I would love to hear your thoughts on the size and model, and oh yeah, pray for snow. We need it bad. What’s up Jonathan!? Have any of you guys ridden the Head Venturi? I’m interested in how it compares to the Enforcer as well. Only the reviews on this site do I trust to buy a ski without demo-ing. As such, a helpful FedEx employee is bringing a pair of 185 Enforcers to me as I type this. Easy question – can you squeeze 95mm brakes around these or do I need 115mm? Look Pivots if relevant. Thanks. Thanks, Dave. And yes, you’ll be fine with 95mm brakes. 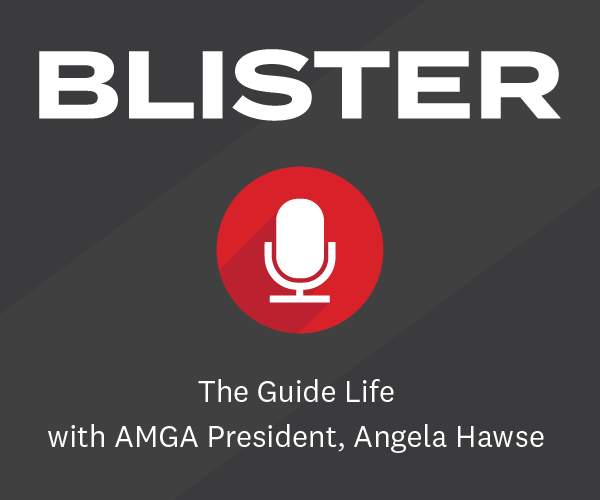 HI Jonathan – loved the new 2015/2016 Winter Buying Guide. I’m like Whitt below in that I’m a 60 y.o. 6’5″ and 235 advanced intermediate. Do you think the 193 Enforcers would be “overwhelmed” by folks at our height and weight? Thanx for your great reviews! I am pretty close to pulling the trigger on the 193 Enforcer’s, but Tom’s comment about “overwhelming” them has me worried. I’m quite a bit heavier than him at 6’4″ 200lbs, and I’m wondering if you would agree with what Tom said? Would you hesitate to get the Enforcers at 200lbs? Is there another ski in the all-mountain ~100mm class that you think is better suited for bigger guys? I’m looking for something a little playful but can be pushed hard as well. Tried the Enforcer skiing at Kitzsteinhorn a few days ago but I will stick to my Hell&Back 9 days out of 10. As a former racer with high demands on performance I think that the H&B where the best allrounder you could find looking for a ski with 100 mm underfoot. The Enforcer was not bad but I do not really like rocker characteristics but I seems to be the only one with that opinion. My H&B are getting a bit old and Im therefore looking for the closest option by are there any available on the market? Hey Ben, were you skiing the same length Enforcer as your Hell and Backs or did you size up ? Hi Peter, Yes I did.. 185 cm. I current ski the Blizzard Brahmas, 180cm. I’m 6’2, 195lbs and ski primarily on the east coast, with 3-8 days out west a year. Would it make sense to you to pick up the Nordica Enforcer for skiing softer snow and powder? I wouldn’t want a dedicated powder ski because I’d use it too infrequently on the east coast. But for days where we get a few inches of fresh snow or for soft pack, I was thinking this could be a good compliment to my Brahmas, which work well in hard pack conditons. Does this make sense or is there too much cross-over between the two skis and I’d be better off sticking with just the Brahmas or a different second ski? Here’s my take on the Enforcers. I got a pair before pre season based on these reviews and probably have 10 days on them after the snow got decent (and is about to get not decent). So far, it has been exactly what I had hoped for. Its quick, relatively stabile, and for me (5’10”, 165#, expert skier but with finesse who likes to ski fast and hard but not necessarily straightlining every thing in sight) it’s just what I was looking for. I’ll grab something else for powder, and probably do something else besides resort ski if it is bullet proof, but for the days in between it is pretty perfect. At my size, I haven’t found a speed limit, although I can see finding one in really rough conditions at the edge of sanity and control. It doesn’t have quite enough tail to lean on when that happens. The reviews got to this point, but what I want to emphasize is that what I really notice when I ski it is that it is just fun and surprisingly easy to make lots of turns on. They really don’t have a favorite speed or turn shape like many skis I have had, that really require a certain approach to be fun. Big slashy turns through chop and crud … done. 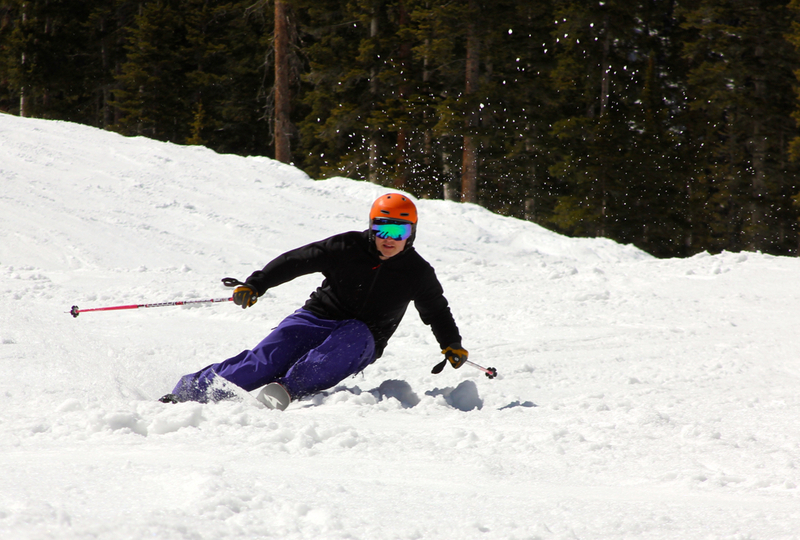 Fast medium carved turns on groomers … done and really fun for a mid fat rockered ski. Quick little turns in trees and moguls … done. I even took my 4 year old skiing the other day and slithered around through the “haunted forest” several times and wasn’t miserable. I’m curious to see what happens with the top sheet over time. It’s solid, but it’s kind of a weird textured pattern that I’ve never really seen before. It’s like deep fine rills (structure) on a ski base. If you don’t know what that means, than I’m amazed you’re actually reading this. Not sure if it’ll get weird with wear or not. I give it 5 stars if the reviews sound like it’s the type of ski you’re looking for. I could see it as an easy one-ski quiver for the west, if you are willing to give up a bit of power and bullet proof ice specialty performance. Great feedback, Jack. Thank you. I probably would have rather had my Bibby’s for the extra float, but I grabbed these because of the frozen coral hiding underneath everything. The Enforcers did well. No surprises. Floated pretty well for their width. Tip rocker did it’s job. Nothing hooky or weird. Still liked to make nice smooth turns. Basically a fun powder day without worrying about the skis. Jack, I’m curious what length you went with? I’m really interested in this ski, and I’m a similar size to you, but I’m not sure which size to go with. Thanks! In the market for a new pair of 95-100mm skis for the end of this year. My height is 5’9″ and weight is 175lbs (35 year old). I am a competent level 3+ skier. 90% of my skiing is done at Brundage (McCall ID) and Bogus Basin (Boise ID). I am replacing my 180cm Blizzard Bonafide. Likes about the Bonafide are the stability at speed and ability to hold an edge in refrozen conditions. Dislikes about the Bonafides are they sometimes seem like too much ski for me — tight trees and rough bumped out conditions I get bucked around a lot. I also wish they were a touch quicker edge to edge. I remounted the bindings at +1.5cm last year which helped some in tight situations but now aren’t quite as stable when going all out on groomers. My powder skis are Nordica Patrons in 185 mounted on the line (which I LOVE and use w anything more than 4″+). I have tried to replace them twice — once w DPS 112RP2 in 184 and the other w the 2016 Moment Bibby in 184 (Bibby was definitely more ski than I need). I have never been on a ski that seems to maneuver as easily and still have the stability of the Patron 185. Other ski I really loved was the Head Mojo/John 94 (soft but seemed to be quite damp — or damp enough for me). The skis on my radar are — Nordica Enforcer and Enforcer 93. Based on the reviews the Enforcer or Enforcer 93 seems to fit the bill but the sizing has me all twisted. Feel I’m right between 177 and 185. Hey, Tanner – good info. We haven’t been on the 93 yet (we were told it’s on the way), but as for the length question: biggest thing to me that you’ve said is that you love the 185 Patron. If that’s true, then I would go with the 185 Enforcer. It’s an easier ski than the 180 Bonafide, and the tail rocker on the Enforcer means that it really doesn’t ski any longer than the 180 Bonafide, and (again) it’s an easier ski. Love the 185 Patron? Then go 185 Enforcer. And hopefully we can weigh in on the 93 soon…. I’m about your size and the 185 are perfect for me. There is nothing overwhelming about this ski. I also have 184 Bibby’s, which feel fine to me, but the 185 enforcers are definitely quicker and easier to move around. I also find them much easier to ski than my 186 Nordica steadfast (90 underfoot … same construction as the old Hell & Back). This is kind of interesting, because they are wider, presumably heavier, and have metal. I’m assuming the softer and slightly rockered tail on the Enforcers is responsible for this difference. The Steadfasts like to set and hold an edge, but they do not feel particularly quick or forgiving. Went up skiing this afternoon and stumbled on a demo day! Skied the Enforcer and Enforcer 93 in 185. Conditions were soft spring groomers in the sun and chalky/hard snow in the north facing slopes and trees (haven’t snowed in about 8 days). Loved both Enforcers in the trees and soft snow but was surprised how much hard snow performance they gave up to my 180 Bonafides. For me the Enforcer (100mm) was a little too rockered and not grippy enough on hardback to be my “bad” conditions ski. The Enforcer 93 was better in terms of firm snow performance and great in the bumps/skied out trees but just left me wanting a little more on the firm groomers. Once I did go back to the Bonafides I found myself getting bucked around a bit more. Enforcers were both dead easy to ski and definitely skied shorter than 185. My question is this — what is the closest ski to the 2013 Bonafide with a touch softer flex? Kastle FX95 HP, Supernatural 100, or possibly …….? Have been skiing on new rocker Nordica Enforcer for a month now. 177cm ( I am 5′ 8” – 145lb – expert level), fantastic ski all around. Skied in 2 feet of fresh dense pow in Cortina last week, excellent performance, you can preserve center forward balance just like on the groomers and everything falls in place. No hooking, No feeling of going over the handle bar no weakness in tail, if you happened to fall back a bit. Then the snow became completely cut up by the afternoon; even better performance there. Next day the cutup snow was set over night and was very firm, still a high edge GS type turns cut through eveything with not problem. Very stable. My only wish was that if the turn radius was a bit longer, in these conditions and in Pow. On softish irregular bumps of various sizes, performance was excellent, nimble and quick in spite of 100mm underfoot and two sheets of metal. No problems. No jetting of ski or feeling of struggle to stay center forward. On hard pack and icy New England conditions, I was surprised how well they held on ice!! I especially emphasize this because I keep reading that the hard pack performance leaves something to be desired by most reviewers. Not to my experience. Tuning may have something to do with this. I tune the skis myself and keep the edges sharp. These are tuned at 1 degree base 2 degree side. if you be forward on the skis and rolled them on edge like a typical slalom or GS turn, they would hold quite well. Haven’t been in trees with them. We are not having a good season in New England. I demoed the skis mounted normal and 1 cm forward. I really liked 1 cm forward. perhaps my size has something to do with this. However, resisted that to assure more forward stability in deep pow, ending up mounting 0.5 cm forward and am quite happy. Another point: if the skis are sharpened all the way to the tip and tail’s end. The tail wouldn’t release at the end of the turn easily and shovel would feel catchy taking the skier’s confidence away – my first demo experience. Make sure the top 20cm of the front and 15 cm of the tail edges are softened and they would perform like a whole different ski, with versatility and ease of movement that would surprise you. I currently ski the Nordica Hell and Back, and love its stability and relative quickness. I ski a lot of trees and my one complaint is the fat and flat tails get hung up in tight spots when the snow is thick. So… I’m looking for a replacement that is just a touch more ‘playful’ in the tail, but as stable for hard snow days on steep terrain, mostly Crested Butte. I am sort of focused in on the Enforcer and the Moment PB&J. Do you have any insights on the difference between these two skis? I finally got to demo the 185 Enforcer and found that compared to the Hell and Back it is way more damp, with a softer flex, it carves great, but lacks the pop that the HB’s have. The tails are much more forgiving but I didn’t fall in love with the Enforcer as an HB replacement. I’m now looking at the Atomic Vantage 100 CTI. I have skied on the Hell & Back for the last 4 o 5 years and loved them but they are now worn down and I reluctantly have to let them go and move on to my next ride. Given your apparent enthusiasm for the Hell & Back performance attributes, what would you recommend or steer me toward for a comparable H&B experience? Thanks for the response in advance. It’s a year on, I’ve just discovered your site and what a great review! I’m an advanced skier, 5’10”, 178 lbs and finally moving on from my old Rossy S86 178 length which is much too soft. Of the 6 or so Skis that I’ve recently demoed, the Sky 7 was insubstantial (soft & light), NRGy 93 was lively & fun but easily overwhelmed, the QST 99 at 181 length was a puzzle (serious, stable, like being on rails) but it felt a bit too much ski for me. The 2 that I liked were the Enforcer 100 & Mantra, both at 177 length. I really liked how playful & easily they turned, though the mantra was suprisingly heavy and felt longer than 177. I’m leaning towards the Enforcer but after reading the review and comments, I’m starting to wonder about the 185 length except that The QST 99 at 181 felt a bit too much. I live in the UK & ski in the Alps 3 or 4 times per year so the demos were done at indoor slopes and no 185s are available. What do you think? Hi Markie; If you are a solid advanced skier go with 185 Enforcer, I am 5.8 and 145 expert on 177 and it feels even a bit short. This suggestion would be especially true on off-piste cut-up , powder or spring heavy snow in particular because of the short turn radius and your height and weight, the 177 could become a disadvantage. If you feel length would be a problem, set your bindings 1-2 cm forward nearer to the shovel. Mantras are much heftier and stiffer ski and a shorter-177- ski would be less of and issue. I wrote a review on this Enforcer, look above under “Faripour”. I hope this is helpful. I finally bought the Enforcer 185s, was able to try them for an hour and now wonder why I hesitated. For anyone torn between the 177 and 185, go long. All the fun of the 177s plus the stability of a longer ski. Thanks for your response which is really helpful. I demoed both the Mantra and the Enforcer again (indoor slope) and found no problem this time with the length of the Mantra at 177 though still heavy for me. It’s a beautiful rock solid ski which turns easily but I felt I always had to be on my game with it. The Enforcer (177) was lighter, a lot of fun but definitely felt too short so it’s the 185s. I ready to pull the trigger for the Enforcer but I wonder about the size. I’m an advance telemarker, 5.7 170 lbs. I’m hesitating between 177 and 185 cm for my new quiver ski, in remplacement of my old Rossignol 170 cm experience 88. Which length do you recommand me? Thank’s againt for all your great reviews and advices!!!! Thinking about getting these for my 17 yr old son. He used to ski moguls and slope style/park competitively in his early teens but focused mostly on slope style the last few seasons. He is an Advanced skier with 11 years 50-60 days / season. We are east coast skiers. He is done with competition and is looking for an all mountain twin tip in the 100 + waist range that can hold on ice, groomers, ski bumps, crud, woods and be able to do the jumps in the park (no rails) and hopefully able to take off or land switch . From you review this ski seems to fill the bill but it doesn’t mention park review. He currently has strictly center mounted park skis (Fischer Night Sticks 181 cm) for when he wants to play in the park all day. Wondering if these will hold up in the jumps and be okay to enter or land switch? We are not planning center mounting them. We think a 177cm for his weight and size (5’11 160-165 lbs)? Hi Heather; I have been on Enforcer on any imaginable condition for more than a year: From dense Cortina powder and cutup snow and firm crud to icy New England USA to very heavy sticky (sierra cement) last May in Snowbird. There was no time that I wished for a different ski with one tiny exception : wished for longer turn radius off piste; but then, the hold on ice might suffer, tough to predict. I am much smaller than you (5’8″ 145lb) and use 177cm. I would say go with 185. Try a pair with the bindings set 1-2 cm closer to the shovel, if you have any concern on length; you might like it. I wrote a review on this ski earlier and a comment. Look under Faripour. May I ask why are some Enforcer 100s being sold at ~$1,600, while others are sold for a lot less (~$700)? Is there any difference between the two? The graphics seem identical to me and I can’t find a reason that would justify such a massive price difference. Hi – Great site and reviews. I’m 5’11”, 160 lbs. Advanced Intermediate skier, skiing the Salomon Rocker 2 89mm waist, 177cm. Looking for a ski that I can advance my ability, all over the mountain and like the Enforcer 100. Help at the local ski shop suggested I go with the 177, but it seems most suggestions here suggest the 185 for someone my size. Any thoughts you could offer to help with the decision? My answer for you would be very similar to the one for Heather. Look under Faripour Forouhar above. 185 is the right one. if your turn initiation technique isn’t bomb proof set the binding 1-2 cm closer to shovel. It would make turn initiation a bit easier. Curious if the Enforcer 100 is stiff enough for me. 5’11” 220 lbs. Strong intermediate, 75% on piste. Not a super hard charger. Mostly ski Tahoe area. Was considering the Enforcer 93 but the 100 didn’t sound as demanding so I thought it might be a better all-around option for me. Then again I’m heavier so maybe the 93 would be better? The one reviewer said if he was heavier than 160 lbs he would want more ski, but he’s an expert, I’m not. What say you? On Enforcer 100; recently, I pulled out my old traditional 2012 Enforcer-169cm ( I am 5’8″ and 145lb, expert) and tried them, comparing them with Enfrocer100, 177cm was interesting: The traditional Enforcer felt firmer, crisper and more stable at high speed, less flapping, than Enforcer 100! I felt that I preferred that on firmer snow. Why am I writing this? I always felt Enforcer 100 would be a better ski if its turn radius was longer now I like to add, it would be a better ski if it was a bit stiffer. Hi Nordica, make me another Enforcer 100 with a bit longer turn radius and slightly stiffer less flappy construction and I’ll be indebted! An you recommend a length for me? I’m 5’10” and 210lbs. Ski quite aggressively. Definitely 184 or longer. If you went longer, you might want to consider setting the bindings 1-2 cm closer to the shovels.try it. I’m not quite shure if I should buy the 177 or the 185 enforcer. I’m 5’10/160lbs. I’m a western advanced skier 6’1″ 220lbs and bought the 177 for next season. Looks like they certainly ski short. Should I swap for the 185 before it’s too late? I bought the 185 and I’m skiing it at the moment(I live in NZ).It’s a heavy ski(heavier than anything I’ve ever skied) but manoeuvarable and fun and probably as near to a OSQ for NZ conditions as I’ve tried.Hiking with it would absolutely be the worst because it is so heavy but all you strong young men will be fine!!! 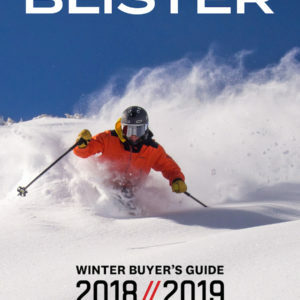 I am looking to pick up a pair of “resort” all-mountain boards this season and was hoping you could weigh in on my thoughts… I currently ski a quiver of two consisting of a 14/15 190cm Blister Pro mounted with Look Pivots and a 14/15 180cm BD Carbon Convert with pin bindings. For the past ~3 seasons I’ve been using the latter (AT) setup as an “all mountain” ski at the resort and I think it’s time that I acquire a proper well-rounded in-bounds setup; the Converts are fun in soft but that’s not what I need them for (as I also have the Blister Pros), and unsurprisingly they’re decidedly worse on hardpack than the Blister Pros are, despite being 13mm slimmer at the waist. 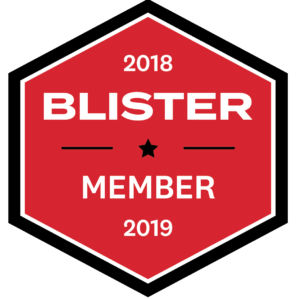 I absolutely love the Blister Pros; I got them to replace a pair of highly abused 12/13 Squad 7s (to me, the gold standard by which all wide skis should be judged) and they certainly delivered a similar experience. But I want something that’s not quite as much ski to throw around when conditions don’t warrant the float of the Blister Pros. So I’m torn between two models that you guys have been raving about for years: the 188cm PB&J and 185cm Enforcer 100. Your description of the PB&J as a “narrower Bibby” was nearly enough to sell me, but everyone and their moms are on Enforcers these days and after reading your reviews I believe the hype. As stated above, performance on groomers, hard crud, and technical steeps are priorities as I have the Blister Pros for deep days. But I also want something that’ll still be fun for the occasional soft shot, so I’m tentative to go much narrower than 100mm waist. I haven’t skied on either of these models so I could be off the ball… I envision the PB&Js as slightly burlier/harder charging than the Enforcers and more stable at very high speeds (sounds like they are generally stiffer), yet the non-rockered tail of the Enforcers sounds enticing for ripping groomers and edge hold on packed out steeps. Then again, the more centered mount of the PB&Js might offer more drive from the tails. I imagine both skis are similarly lively and playful; I definitely want something poppy and both skis sound good in that regard. The Enforcers also sound more versatile at lower speeds, but I’m more concerned with top-end performance. So my question is, if you had to build a two-ski quiver with the Blister Pros, which of these models would you grab as your narrower ski? For an intermediate skier, (6ft, 240lbs) how would you compare this to the 4FRNT MSP, & Devastator or the LINE Sickday 104 or Sir Francis Bacon and Volkl100Eight? No touring, all resort skiing, and I think he is looking for a one ski quiver, with deep powder days reserved for a snowboard, so this pair would be the day after a storm and left overs on PNW resorts like Stevens or Baker. I thought he ought to keep the width around 100 +/- 5mm. I think he is looking at a ON3P Wrenegade too ( not sure of waist width) after reading in the 2017 guide that it was an “easy” ski to ski… . Anything else out there he should consider? There’s a ton going on here, James – it honestly sounds like your friend should become a blister member and send me an email to sort this out. This is kind of all over the place, so I’m not sure I can add anything more helpful beyond just having him read our full reviews, checking Blister spectrums in the Buyer’s Guide, and having him figure out his priorities. The only thing I’ll add: at 6′, 240 lbs — for a dedicated inbounds ski — I would have him looking at skis that weigh at least 2100 g per ski or more. Zero reason for him to try to get away with skis that are 2000 g or lighter. Good news : I think he is going to join the community! Bad News, his budget is more in line with finding a gem on craiglist or local ski swap groups on facebook than new skis. I told him if he is going to spluge, spend on nice boots, so that is where he is going to start . … But hey,,, still a new member, right?? Welcome Scott! I live in Boulder, CO and ski the usual Northern Colorado places w/ a point of view on steeps and above tree line skiing – including local mid week mornings at Eldora. These are the best all around western ski that I’ve personally owned. They are chargers with no speed limit (193 cm and I’m 6’5 195lbs). They perform well on piste and up to about 15″ which is the deepest I’ve had them in. If you like charging, open bowls, and general all around western ski for aggressive skiing, these are it. That said, I did pick up a pair of Black Crows Anima this year (115mm underfoot) for a more playful profile in a smearing sense. The enforcer’s tail is just slightly rockered, which is great for stability but when you’re in the mood to butter/smear in tight places, this is not the ski. I don’t mean that as a negative but in really tight glades in 30″ or more of snow, i just prefer a different tool. 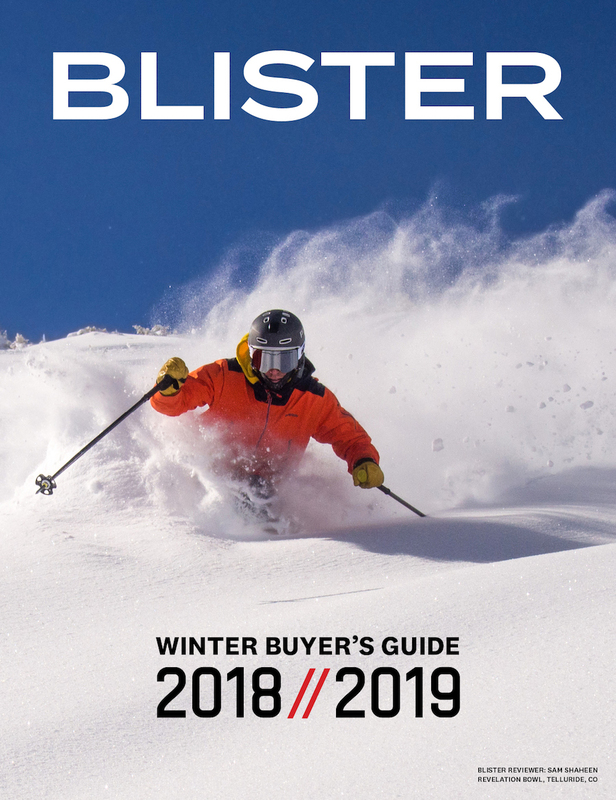 I sold off many skis when I purchased the enforcers and upon my trip up to Big Sky, MT this year, took note of just how many enforcers you see on that mtn – there’s a reason for big open mtn charging and this ski fits the trick. It’s also fairly playful in an popping off feature sense. look pivot 14’s mounted at factory center. 6’4″ 218lbs, former advanced, taken time off (years) so lets say upper intermediate, ski all over the west. Needto be able to ski with family (slower) but then tuck from time time, dont want to get trashed physically by my skis….would yo say 185 is ok, or do I need to go 193? So I noticed that the turn radius is different on the Enforcer 100- 18.5 for the 185 and 16.5 for the 177. Your review is for the 185. Do you think there will be a big difference in the 177’s ability to make medium and longer turns given the tighter radius? HI – I’m 52, strong expert skier, 6’4 280 and spend most of of my time carving groomers fast. I’m considering the Enforcer 100, Bonafide, and similar for a second pair to complement my Redster 9x which do great at Stratton, VT where I do the bulk of my skiing. I’m looking for something to use when we get rare powder (usually wet), spring days, and also to be a single pair to take on trips out West and Europe where I could encounter pretty much everything and be versatile throughout a day and at various elevations. Given my size, weight, have been thinking longer/stiffer than average is what I need. Appreciate your thoughts.